We are proud to announce our newest fourteen thousand square foot center in the Short North located at 870 Michigan Ave! 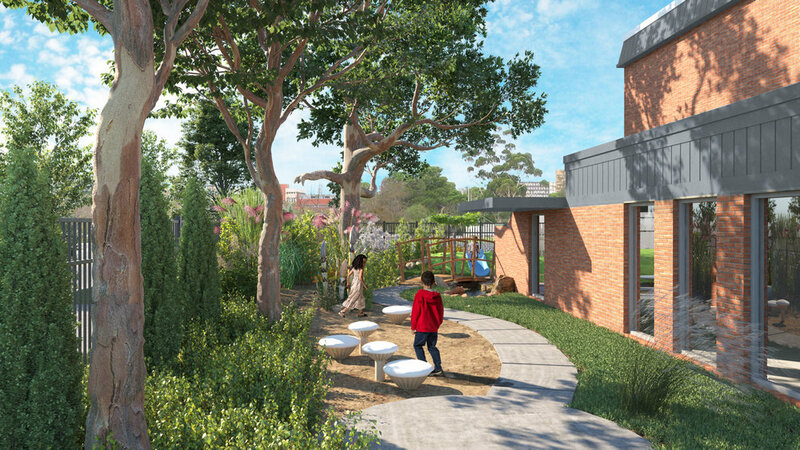 The facility will include a technology room, large gross motor room, and a one-of-a-kind natural organic playground. The facility will open in the Fall of 2018. For more information and enrollment, contact Anna Baranek today. OUR COLUMBUS DAYCARE CENTERS ARE OPEN MONDAY THROUGH THURSDAY FROM 6:30 AM TO 6:30 PM. AND FRIDAY FROM 6:30 AM TO 6:00 PM. LDBB is partnering with Yao Cheng, LDBB Parent & Designer to support a tremendous cause!